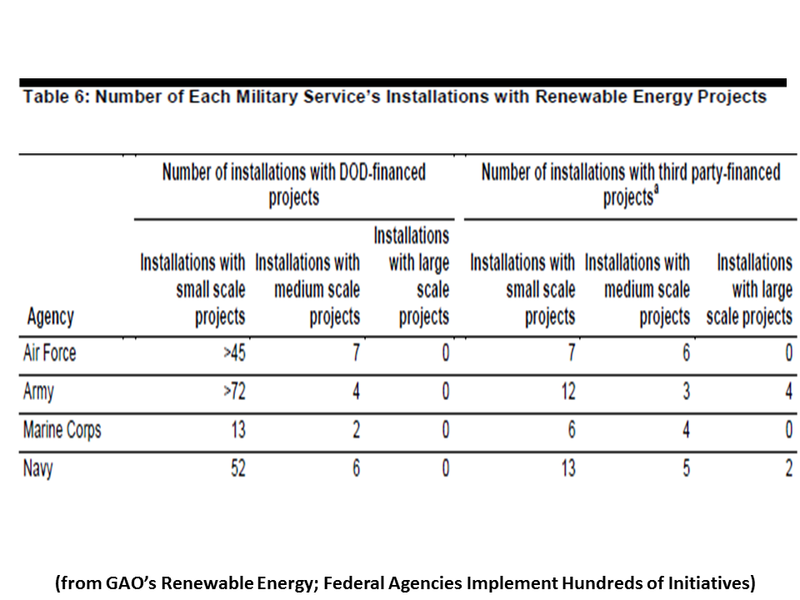 Governmentwide, 23 agencies and their 130 subagencies GAO reviewed implemented nearly 700 renewable energy initiatives in fiscal year 2010. 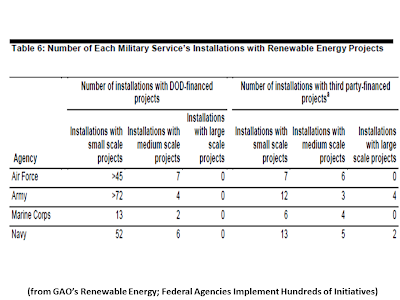 The Departments of Defense (DOD), Agriculture (USDA), Energy (DOE), and the Interior were collectively responsible for almost 60 percent of all initiatives. 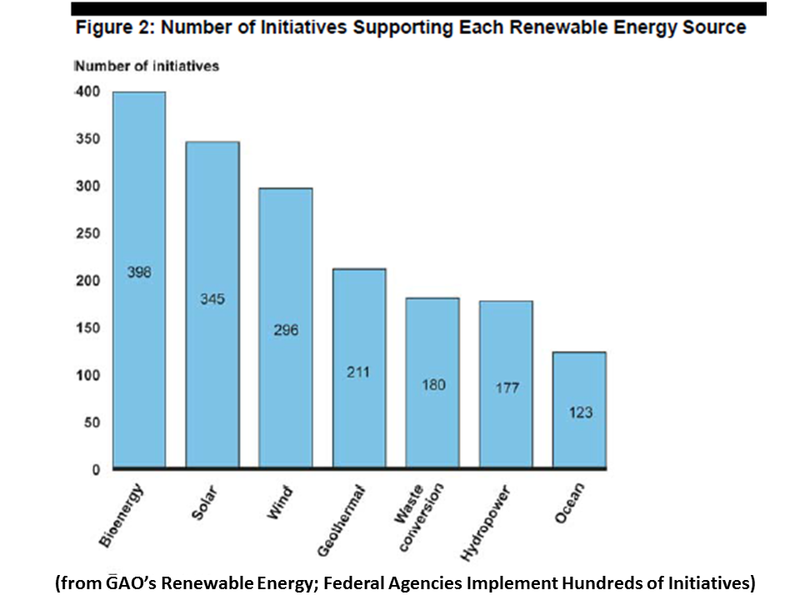 The initiatives supported a range of renewable energy sources, and the most commonly supported sources were bioenergy, solar, and wind. Also, the initiatives supported a range of public and private sector recipients, but the large majority provided support to the private sector. Many initiatives supported multiple renewable energy sources and types of recipients, while many others targeted support to one source or recipient. Agencies’ renewable energy efforts increased in recent years as a result of the provisions of the American Recovery and Reinvestment Act of 2009 and other factors, but the level of future efforts is less certain with the expiration of these provisions and budget constraints. 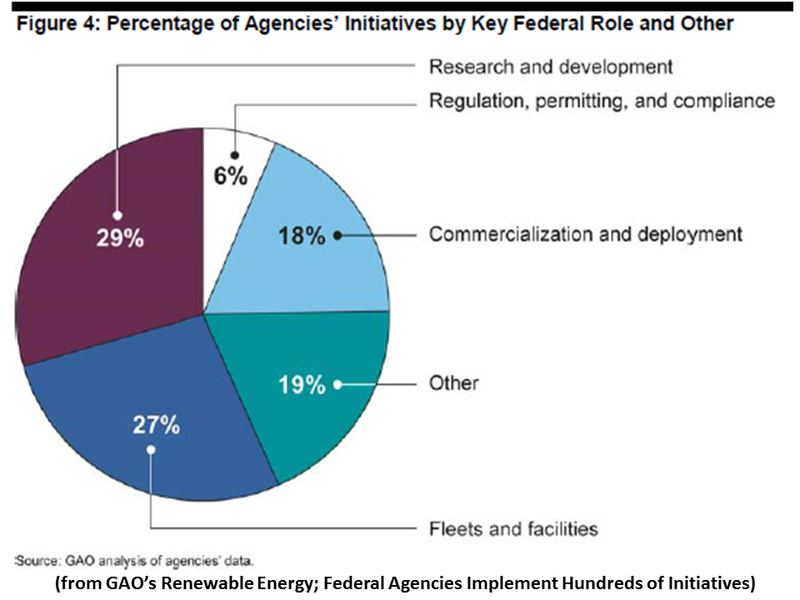 Across agencies, more than 80 percent of initiatives span four key federal roles—supporting research and development; using renewable energy in vehicle fleets and facilities; providing incentives for commercialization and deployment; and regulation, permitting, and ensuring compliance. Certain agencies led efforts in each federal role: DOE, DOD, and USDA for research and development; DOD, the General Services Administration, and DOE for fleets and facilities; Treasury and USDA for commercialization and deployment; and Interior and the Environmental Protection Agency for regulation, permitting, and compliance. 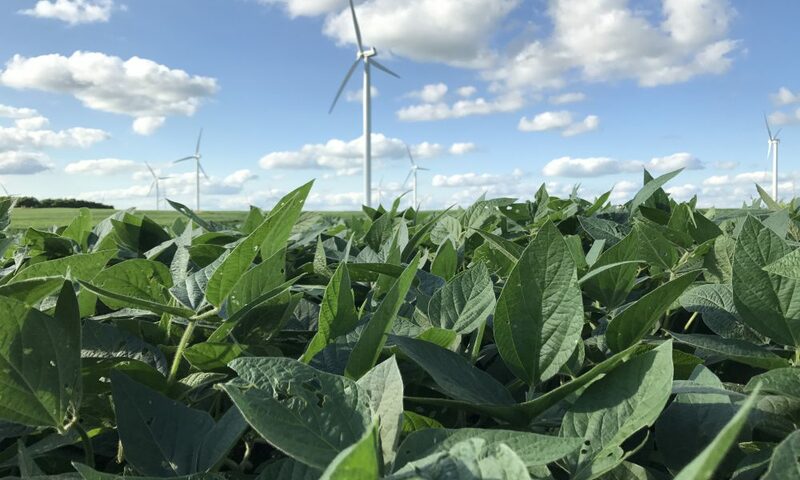 The nation’s reliance on imported oil, rising energy costs, and fossil fuels’ potential contribution to climate change have renewed the federal focus on renewable energy. 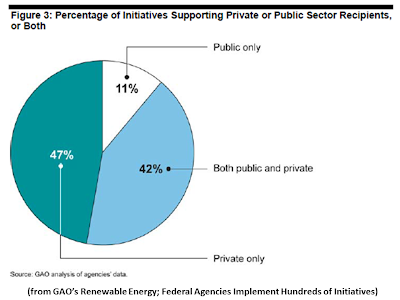 Many federal agencies support renewable energy activities, raising congressional concerns about the number and roles of agencies implementing such efforts. 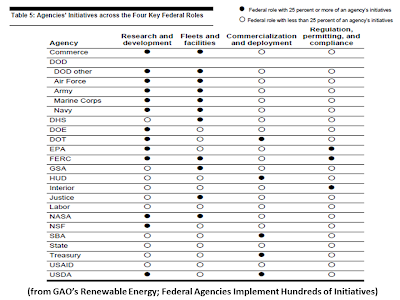 Currently, there is no comprehensive inventory of federal renewable energy initiatives, making it difficult to identify potential fragmentation or duplication. GAO was asked to (1) identify agencies’ renewable energy-related initiatives and (2) examine the federal roles agencies’ initiatives supported. GAO collected data from agencies’ budget documents, strategic plans, websites, and through agency data requests and interviews with officials from most of the 24 federal agencies subject to the Chief Financial Officers Act of 1990. These 24 agencies accounted for roughly 98 percent of all federal outlays in 2009. 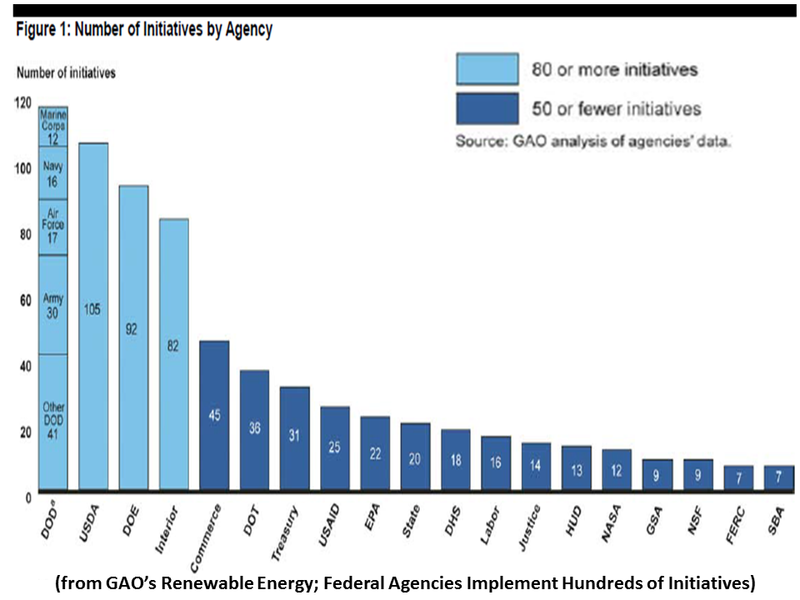 GAO developed an inventory of agencies’ renewable energy initiatives, including initiatives for which renewable energy was the focus, as well as initiatives for which it was part of a broader effort. GAO focused on developing this inventory, and as such, did not evaluate initiatives based on financial support or other factors. This report contains no recommendations. In response to the draft report, Commerce agreed with the overall findings as they relate to the Department, while Homeland Security neither agreed nor disagreed with GAO’s findings. The other agencies provided technical or clarifying comments, which GAO incorporated as appropriate, or had no comments. 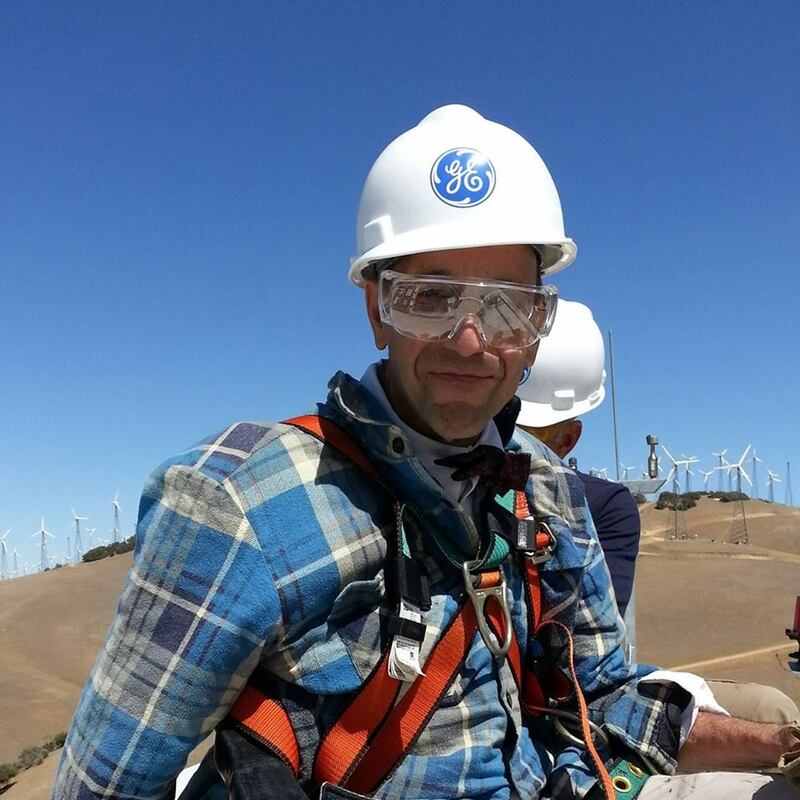 Americans’ daily lives, as well as the economic productivity of the United States, depend on the availability of energy, particularly from fossil fuels. However, concerns over the nation’s reliance on imported oil, rising energy costs, and fossil fuels’ potential contribution to global climate change have renewed the focus on developing renewable energy resources and technologies to meet future energy needs.1 According to the Department of Energy’s (DOE) Energy Information Administration, domestic renewable energy use grew by 21 percent from 2006 to 2010 and accounted for about 8 percent of U.S. energy consumption in 2010.2During the same period, nuclear energy use increased by about 3 percent, and the use of fossil fuels decreased by about 4 percent largely as a result of the recent economic downturn. Over the coming decades, the Energy Information Administration projects that the strongest growth in the domestic energy sector will be in the use of renewable energy to generate electricity and produce liquid fuels for transportation. 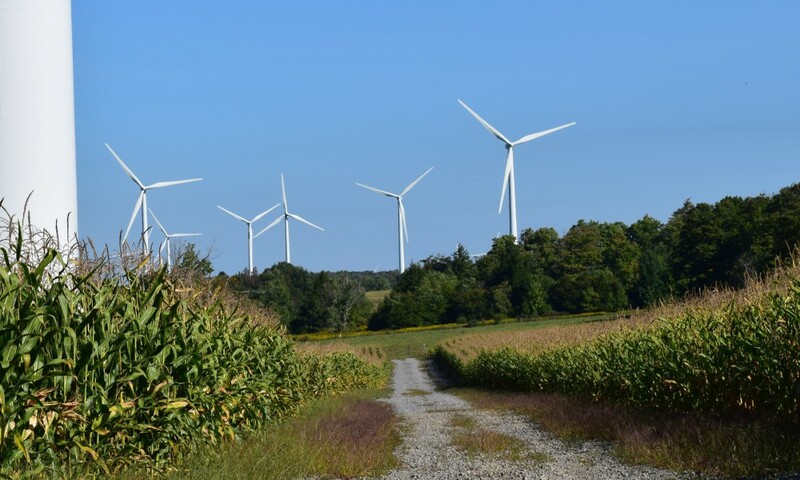 Congress and some federal agencies have emphasized the importance of renewable energy as a means to address issues of national concern and have committed substantial federal resources to initiatives in this area. 3 For instance, DOE’s Office of Energy Efficiency and Renewable Energy (EERE) received about $630 million in its fiscal year 2010 appropriation for research related to bioenergy, geothermal, solar, water, and wind energy—an increase of about 43 percent from the fiscal year 2008 level of about $440 million.4 EERE received an additional $1.4 billion from the American Recovery and Reinvestment Act of 2009 (Recovery Act) for renewable energy-related efforts.5 The federal government also creates incentives for investment in certain types of renewable energy-related projects and for the production and consumption of renewable energy by, for example, providing favorable tax treatment, such as tax credits, to businesses and individuals. These tax preferences—which are referred to as tax expenditures and are administered by the Department of the Treasury’s Internal Revenue Service (IRS)—result in forgone revenue for the federal government.6 Revenue losses associated with renewable energy-related tax expenditures were estimated to be almost $8.9 billion for fiscal year 2010, according to estimates from the President’s 2012 budget.7 The Recovery Act and other recent legislation established, extended, or changed the scope of a number of these tax expenditures. 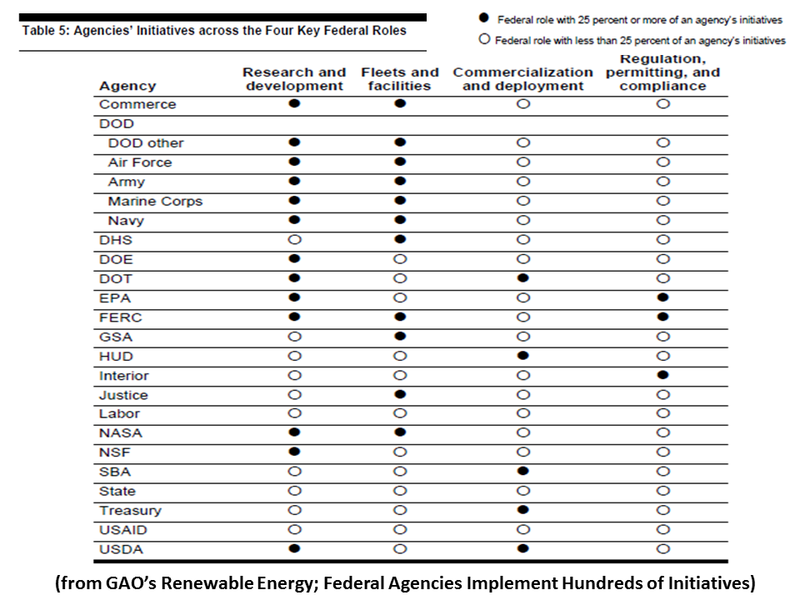 The wide range of federal activities related to renewable energy and the recent increase in these efforts have raised congressional concerns about the number of agencies implementing such activities, as well as the roles of agencies responsible for regulating and providing funding to various segments of the renewable energy industry. 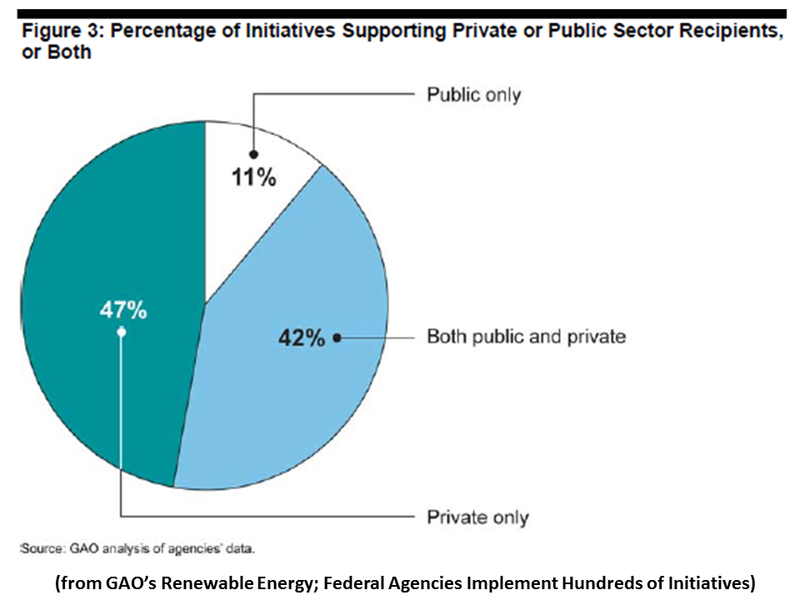 However, there is currently no comprehensive inventory of which federal agencies are implementing renewable energy-related initiatives and the types of initiatives they are implementing. 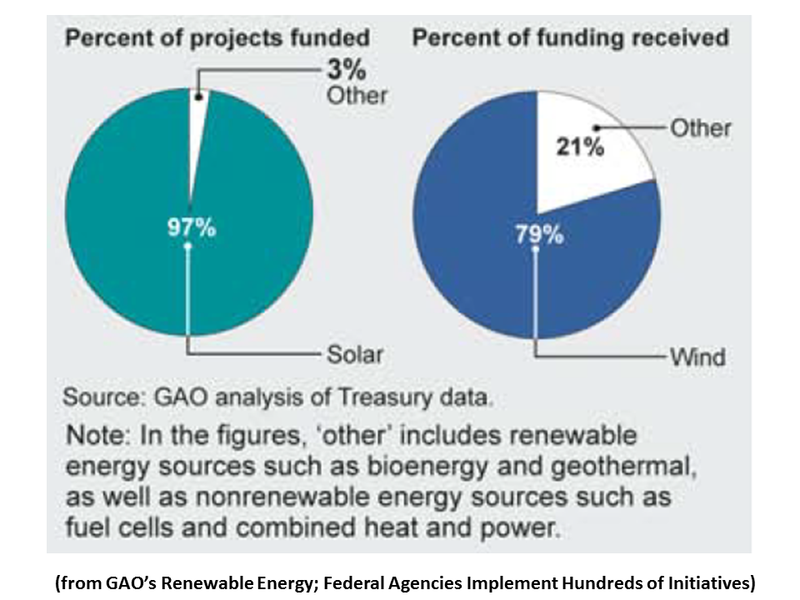 In light of efforts to balance the federal budget and target spending on activities that will most effectively meet national needs, the lack of available information on agencies’ renewable energy initiatives has further raised congressional concerns about the ability to identify whether efforts are fragmented, duplicative, or operating at cross-purposes. 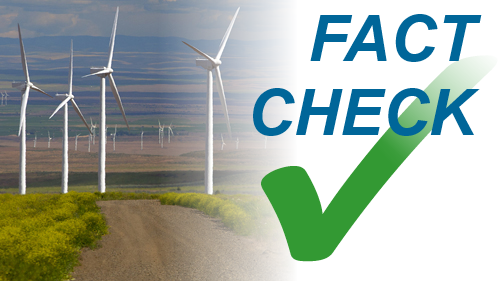 Due to these concerns, you asked us to provide information on federal renewable energy initiatives. 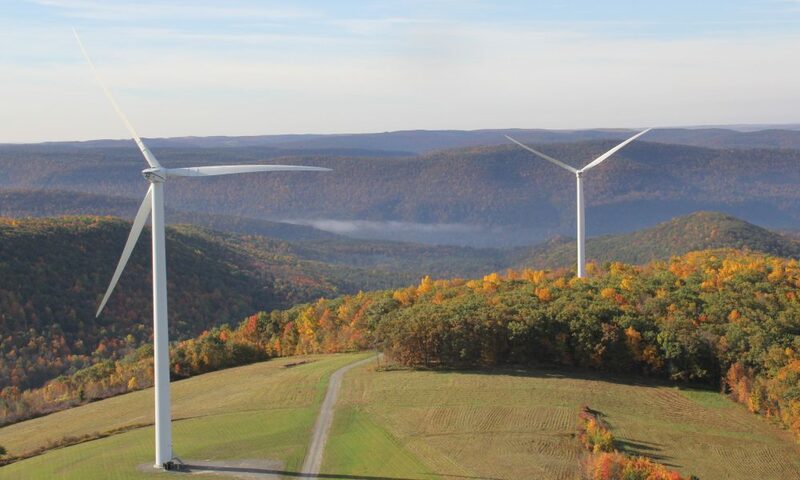 Our objectives for this report are to (1) identify federal agencies’ renewable energy-related initiatives governmentwide, and (2) examine the federal roles these agencies’ initiatives support. Appendix II and GAO-12-259SP provide more detailed information on individual agencies’ initiatives.9In addition, we provide information on the extent to which the Recovery Act established, expanded, or modified agencies’ renewable energy-related initiatives, and identify those initiatives, such as certain tax expenditures that supported ethanol or other biofuels, for which authority has recently or will soon expire without congressional action. This information is provided in appendixes III and IV, respectively. 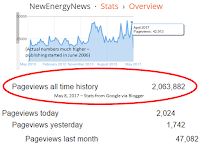 We submitted a structured data request to agencies to provide information on each of their renewable energy initiatives, including the responsible agency component(s); a description of its purpose, how it is implemented, and how it relates to renewable energy; the applicable renewable energy sources; the recipients of funding, services, or other types of support; the extent to which it was established, expanded, or modified by the Recovery Act; and whether the legislative authority for the initiative has expired or may expire. We then conducted interviews with agency officials responsible for providing the data to collect additional information and assess the accuracy, reliability, and completeness of the data provided. We determined the data to be sufficiently reliable for the purposes of this report. 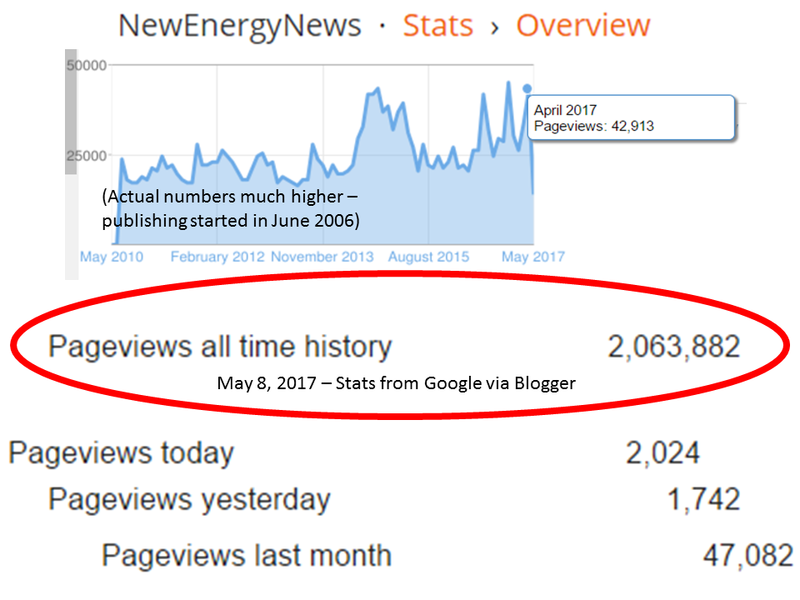 We then analyzed the data we collected to develop descriptive information across the agencies’ renewable energy-related initiatives. We recognize that measures other than the number of initiatives implemented, such as the level of financial support provided, are also important to understanding renewable energy efforts governmentwide. An agency may have many initiatives, but the total financial support provided for these initiatives could be substantially less than the financial support provided by an agency with fewer initiatives. We did not review agencies’ renewable energy-related initiatives on the basis of the level of financial support agencies provide for their renewable energy efforts because, for example, officials stated that financial support for renewable energy is often not tracked separately from other activities. 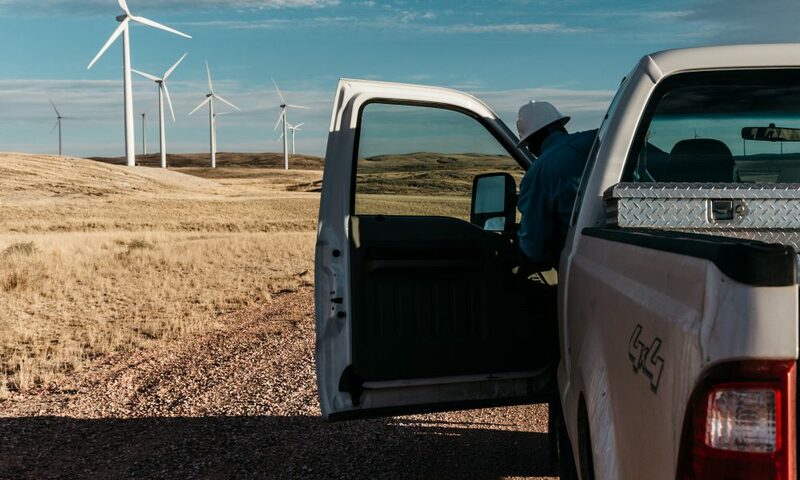 Therefore, we could not collect reliable renewable energy-specific funding data or revenue loss estimates across the full inventory of initiatives we identified.